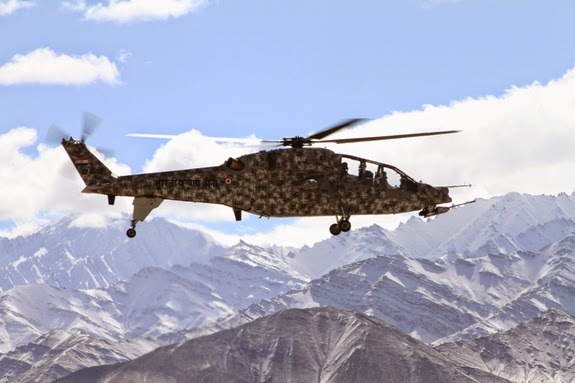 The cold weather trials of LCH were carried out at Air Force Station, Leh recently. “The trials covered engine starts with internal batteries after overnight cold soak at 3 km altitude and 4.1 km altitude”, says Mr. T. Suvarna Raju, Chairman, HAL. The engine starts were satisfactory in the temperature of minus 18 degree C at 4.1 km. The flights were also carried out to assess high altitude performance and low speed handling. The LCH prototype, TD2 was ferried from Bangalore to Leh and the flight trials were carried out involving customer pilots from Air Force and Army and with the participation of representatives from RCMA (H/c) and DGAQA (H/c). “Light Combat Helicopter (LCH) Technology Demonstrator TD-3 made its maiden flight in November last year and the TD-4 is likely to fly soon. The IOC is expected in the later part of this year and to achieve this we are concentrating on building more prototypes and increase the number of flights to reduce the lead-time for IOC”, adds Mr. Raju. During recently concluded Aero India 2015, two LCHs – one on static and another on flying display- enthralled lakhs of people who appreciated many features of this helicopter. LCH is of 5.5 ton class, powered by two Shakti engines and inherits many technical features of the Advanced Light Helicopter. 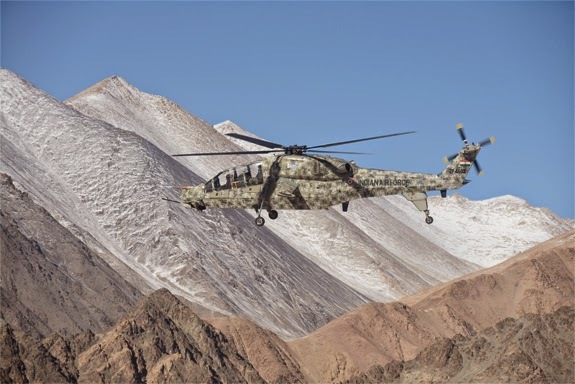 The features that are unique to LCH are sleek and narrow fuselage, tri-cycle crashworthy landing gear, crashworthy and self-sealing fuel tanks, armour protection, nuclear, and low visibility features which make the LCH lethal, agile and survivable. The helicopter would have day/night targeting systems for the crew including the Helmet pointed sight and Electro-optical pod consisting of CCD camera/FLIR/Laser Range Finder(LRF) / Laser Designator(LD). The LCH is fitted with Self Protection Suite consisting of Radar/Laser Missile warning systems and Counter measures dispensing system. The first prototype helicopter had its inaugural flight in May 2010. The second and third prototype had their first flight in June 2011 and November 2014. The forth prototype is currently being built to speed up the trials for certification process.